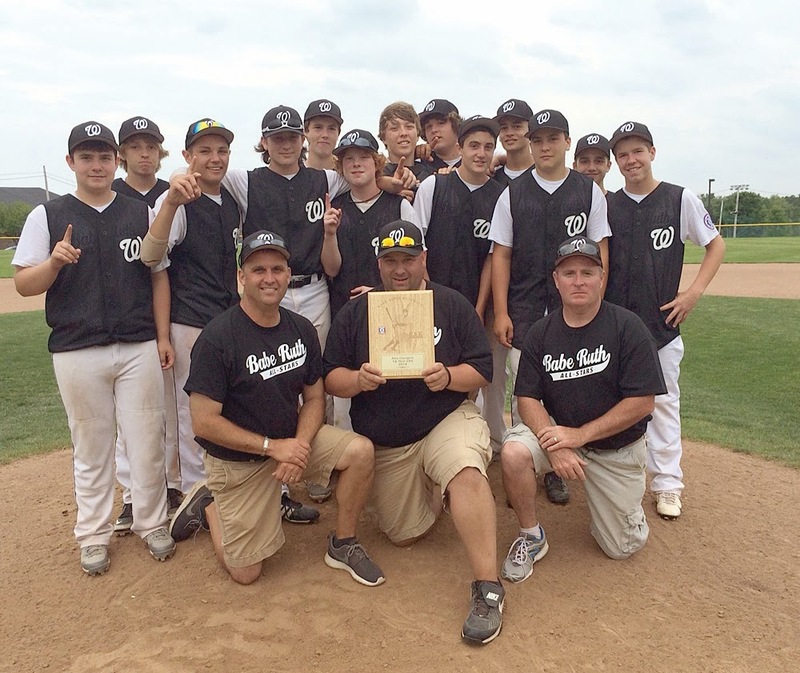 After winning the District 4 Championship, the Windham 14-year-old All-Star Babe Ruth team will play in the state tournament. After losing the first game of the district tournament, 6-5 to Westbrook last Friday, Windham bounced back on Saturday to beat Westbrook, 10-0. That win advanced them to Sunday, where they had to win two games to get to the state tourney. After beating Tri-County 8-3 in the first game, Windham took care of business in the second game, winning 5-2 over Tri-County again, to vault them to the state tournament at University of Maine at Farmington this weekend. The team is coached by Brett Turenne, Jim McCartney and Thad Millett. "This team works very hard and never gives up," said Coach Turenne, who is excited about the team's chances in their first game, Friday at 5 p.m. versus Augusta.